There are probably infinite stories to tell surrounding the November 4, 1979 raid on the US embassy in Tehran as 52 American hostages were held for 444 days. 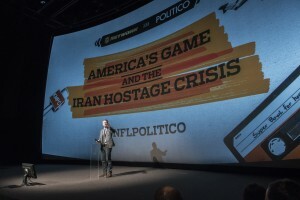 In its film “America’s Game and the Iran Hostage Crisis,” screened Thursday at the Newseum in a joint presentation with Politico, the NFL Network looks at the avid football fans of the group and tells a bit of theirs. The documentary features interviews with a handful of the hostages (at least one of them wears a Packers-logo’d shirt on camera), their family members, former diplomats, and others interwoven with footage and interviews with the football stars of the era, who played America’s game against the backdrop of a nation in mourning. The linchpin is LA-based radio journalist Alex Paen, who managed to report on the hostages’ plight when so many other journalists couldn’t by promising their Iranian captors a radio recording of Superbowl XIV. 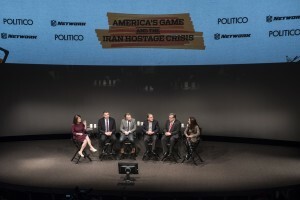 “America’s Game and the Iran Hostage Crisis” will air on NFL Network on January 19th at 8 pm ET. Next Post: Is Your Home Ready for Winter Storm Jonas?